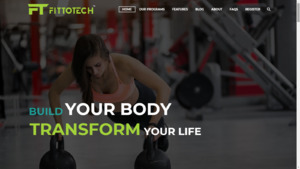 Fittotech is best online Gym Management System. As being best gym management software in India, it also provides fitness mobile app to provide online tips & fitness training by professional instructors. Gym owners will become able to manage all members& trainers efficiently by using fitness club management software. Fittotech aim to improve your balance, stamina, physical fitness, strengthen your bones, help you lose weight and gives good physic.